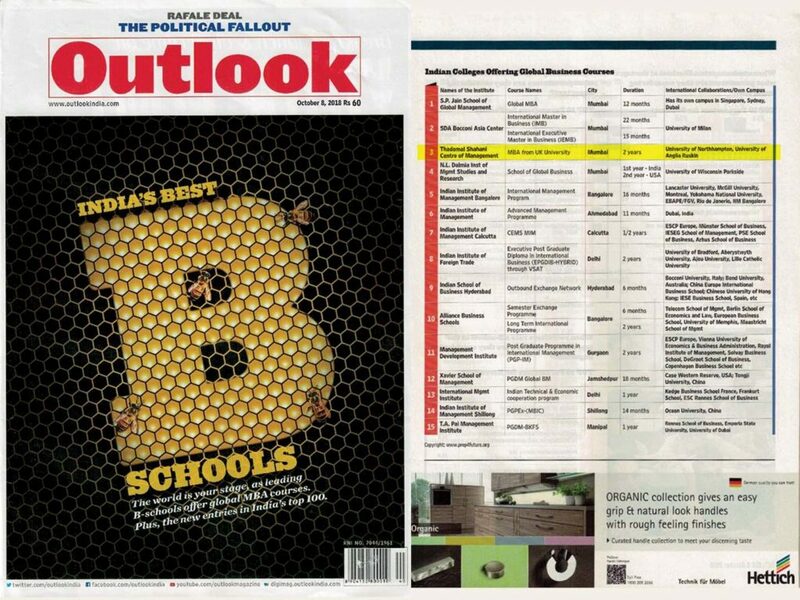 Outlook Magazine has ranked Thadomal Shahani Centre For Management at No. 3 among Indian colleges offering Global Business Courses in a survey conducted in September 2018. We are ranked even higher than the IIMs in this area.